Hurricane Harvey destroyed the only gas station in Bloomington, Texas—and Sevan came to the rescue. Sevan team members from all four business lines including Surveys, Architecture & Engineering, Program Management and Construction Services were honored in early November for their exceptional efforts in helping Bloomington residents recover from the devastation caused by Hurricane Harvey. Bloomington’s 7-Eleven convenience store was completely damaged from winds and flooding during Hurricane Harvey in 2017. The roof was torn off and underground fuel storage tanks were full of water. 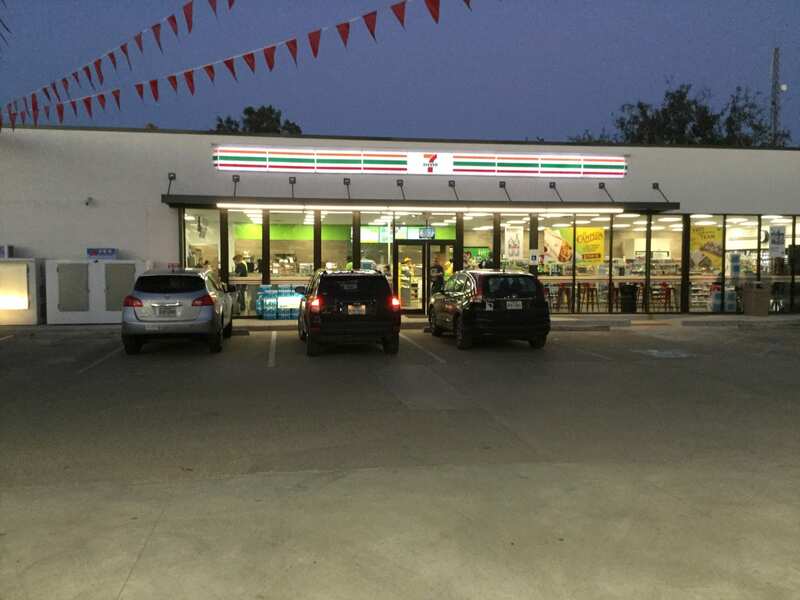 Sevan had just finished working with 7-Eleven on major improvements for three stores in the Houston area when the storm made landfall in Texas. All three sites remained in operation during and after the hurricane due to design elements intended to resist storm damage, said George Geczy, Vice President of Operations and Operations Director for Sevan’s 7-Eleven account. Sevan was brought on to fix the Bloomington 7-Eleven, which was closed for 14 months during the $1.4 million rebuild project. Sevan first cordoned off the property to limit further damage. After the permitting process was complete, the project required extraordinary teamwork and dedication. And Sevan delivered. The design elements took a bit of tinkering to incorporate the new taqueria concept and other features, Geczy said. “The store continues to do incredibly well, even better than before the hurricane,” Geczy said. And the reaction from the Bloomington residents has been overwhelmingly positive as well. Bloomington’s 7-Eleven has been more than a gas station and quick-stop for the small town of 2,500 residents, located 135 miles southwest of Houston and 15 miles from the Gulf coast. For years, locals have enjoyed the in-store taqueria and fresh grocery items. With a peak accumulation of 40 to 60 inches of rain and approximately $125 billion in damage, Hurricane Harvey is tied with Katrina as the costliest tropical cyclone on record. It caused 107 confirmed deaths, displaced more than 30,000 people and prompted about 17,000 rescues. In Bloomington, 35 percent of the city’s residents were displaced by the three-day storm.